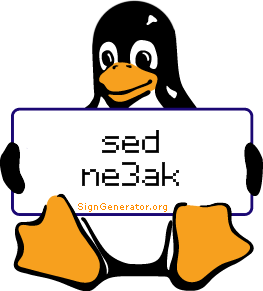 As you probably know, sed is a very powerful tool in Linux for filtering and transforming text. I was looking for some commands with regular expression to process some configuration files in Linux, and I found this link that teaches sed by example, it's informative and easy to understand. Note: If you read Arabic, sorry for the picture, no offence (I still find it funny) If you do not read Arabic, never mind.